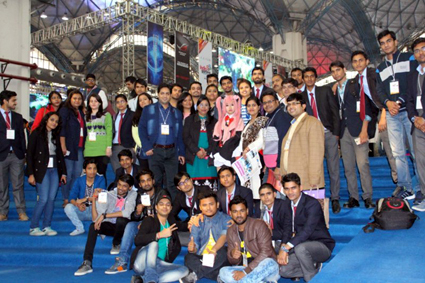 Students (Batch 2016-18) and all faculty members of MCA department visited to India Gaming Show at Pragati Maidan, New Delhi on 11 Feb 2017. Students got to know about the simulated environment of gaming. Many countries like Japan, India were participants of the event. All have enjoyed a lot.